Los Angeles, CA—September 20, 2013 – Marvel's Ultimate Spider-Man makes its Disney Channel debut in a special one-hour Halloween event, Saturday, October 5 at 9pm/8c. This brand new prime time animation special features a never-before-seen team-up with Blade, the fan favorite vampire hunter; Jack Russell aka Werewolf by Night; The Living Mummy; Frankenstein’s Monster and Man-Thing. United together in animation for the first time, Spider-Man and his monstrous allies take on one of the biggest Halloween villains of all time, Dracula! This landmark Marvel event also features a star-studded voice cast, including Disney Channel star Ross Lynch (Austin & Ally, Teen Beach Movie) as Jack Russell; Terry Crews (The Expendables) as Blade; and Oded Fehr (The Mummy) as The Living Mummy. 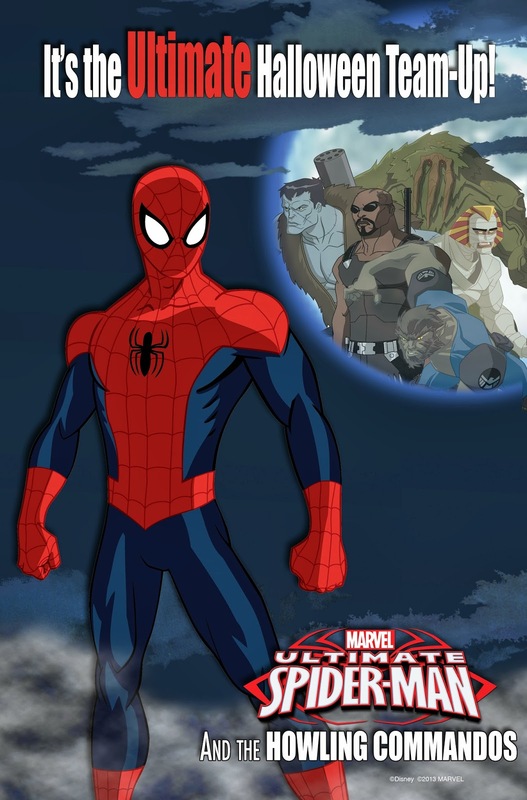 The episode will re-air the following week within the weekly Marvel Universe block on Disney XD, on Sunday, October 13 at 11am/10c. Fans can get a sneak peek at part one of the one-hour Halloween special with free download on iTunes beginning Monday, September 30.